We are offering more soccer predictions than those. The last time we blogged about D.C United,the club had the worst form in the league. At the moment, D.C United is still languishing at the bottom. However, their recent form is noteworthy. 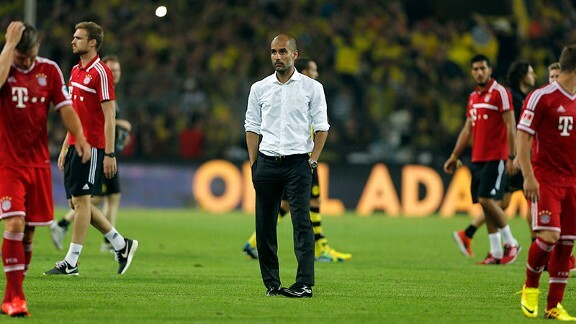 Two weeks ago, FC Bayern Munich’s new head coach Pep Guardiola has won his first piece of silverware after the European champions clinched the Telekom Cup for the first time in the club’s history by beating Borussia Mönchengladbach 5-1. This is not quite a rematch. Pep Guardiola still has everything to figure. Previously in the Major League Soccer, New York Red Bulls showed us that fans should never leave early. Red Bulls got dramatic ‘buzzer-beater’ header to beat MLS-leading Real Salt Lake after 4 years failing to do so. Trifecta! – Red Bulls trio – Tim Cahill, Thierry Henry and Fabian Espindola leading NYRB to playoffs. Things are going according to plan for New York RB and Real Salt Lake as both are in healthy positions in their respective conferences, awaiting to qualify for the Major Soccer League Champions Play-off. In the jockeying for positions in the Western Conference playoffs, Los Angeles Galaxy will host on-fire Brazilian striker Camilo (current MLS top scorer with 12 goals) and the Vancouver Whitecaps. Camilo is flying with the Whitecaps. LA Galaxy is feeling the heat of the chase for the playoff spot. They currently stand at 5th place with 30 points – while Seattle Sounders have 24 points with 3 games yet to play. The Major League Soccer is back in action despite the National Team competing in the CONCACAF Gold Cup. BETEGY is excited to introduce to you match of the week, Seattle Sounders FC vs D.C. United. If there was ever a chance to watch a soccer match in US, you should go to Seattle. Why, you asked? The New York Red Bulls are back for some Major League Soccer action, after a 3 week long break from league action. The Eastern conference come Sunday the 23rd of June, will see 3rd place Philadelphia Union play host to Thierry Henry and his 2nd placed New York side dig it out on the green turf. It’s been barely a week ago, when both Columbus Crew and Chicago Fire played against the other in the US Open Cup, with Chicago Crew being the beneficiary of that game (beating Columbus 2 goals to 1). Colombus who is placed 7th in the Eastern conference will play host to 8th placed Chicago. This week in Major League Soccer, group leaders in the Eastern conference ‘Montreal’ plays host Houston Dyanmo.. Montreal (playing at home) will be looking to put their 2-0 defeat against Columbus at the weekend behind them, and turn all focus to the game at hand when 4th placed Houston pay them a visit this week. Use NETELLER as a payment service for your online accounts and you will never have to worry about withdrawal problems, delays or losing your money. Odds are numbers which represent the probability of an outcome to take place during an event. They tell how much you can win by placing a certain bet – the rule is that higher the odds are, lower are the chances of winning on that outcome. Reigning UEFA Cup and UEFA Champions League champions will entertain Everton at home for their last Premier League game of the season (also the last game for both teams managers); in a match that might determine if the qualify for Champions League next season or have to settle for play-offs (although top 4 finish is guaranteed). Santiago Bernabeu to host the final of the Copa Del Rey between cross city neighbors/rivals Real Madrid and Atletico Madrid. Real Madrid will be looking to redeem itself by winning this cup, after losing out on both the UEFA Champions League and the Spanish League title. What is Over / Under bet? An Over/Under bet is a wager in which a bookie will predict a number of statistic in a given game (usually scores of two teams), and bettors wager that the actual number in the game will be higher or lower than that number. This game can easily be termed a Champions League playoff. It is no news that the out come of this tie will determine the faith of these teams as both the 3rd and 4th positions are still up for grabs. As we know, it is no longer news that United have already clinched the title this season. For Chelsea, the fight for top four finish has only just begun, with the likes of Arsenal and Tottenham breathing down their neck. For the first time it feels like this fixture will lack the spark it always had surrounding it. As United go into this game with nothing lose (since they already secured the title), and might just treat this game as an inconsequential game. Whereas, Arsenal on the other hand would be coming all out in the fight to finish 3rd (in order to qualify for The Champions League next season). This is a no holds barred fixture, as Tottenham who desperately needs to finish the season in the top 3 will be looking to get all 3 points. More so, Man City will be looking to win this game so United does not end up wining the league at the weekend. It is a final call for Inter and Roma to hash it out on the pitch for a chance to face Lazio in the final with the aim of winning a silverware this season. This probably is the biggest club clash across Europe this week. But I fear the game might not be as thrilling as anticipated, because there isn’t so much at stake as United obviously have sealed the Premier league trophy this season, and City obviously have given up all hope of catching up with United.